Damilola Odofin is a 2001 graduate of Sociology from the University of Ibadan. She started her research career in 2004 with Marketing Support Services Limited as a Management Trainee in the Qualitative Department. In the quest for more knowledge, she joined the Quantitative Team of Research International and has conducted diverse studies spanning a broad spectrum of brands such as Unilever, Airtel, Insights Communications, MTN, Grand Oak, Promasidor etc. Her background in Sociology has equipped her with a good knowledge of human behaviour which has helped her on different projects in understanding consumer behaviour. 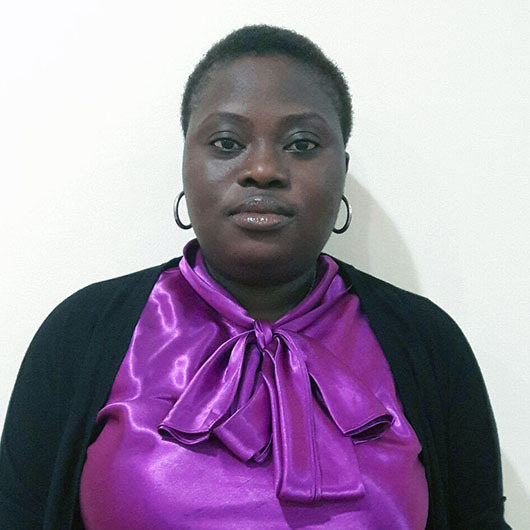 She joined Communication & Marketing Research Group in November 2008 where she started as a Research Executive having garnered experience needed to deliver effectively on assigned tasks aimed at effective project management & delivery. She rose steadily through the ranks and her present position in CMRG is Assistant Research Manager. Her strength lies in the ability to make insightful contributions to clients marketing needs. She is a full member of Nigeria Market Research Association(NIMRA) and has participated in several trainings organised by the institute.